For something you spend most of your life in, you want the best option for you. A mattress is an important aspect in your life, knowing that sleep is imperative to a healthy lifestyle. But with so many options, it may be overwhelming to find the one that is perfect for you. Here’s a little more info on three types of mattresses: innerspring, specialty and hybrid. If you’re still wondering which one you think would be best for you, stop in to any Gardner-White location and speak with one of our bedding experts. They’ll listen to your needs and find you the mattress best for you! Innerspring mattresses are easily the most popular and well-known mattress type. Dating back to 1871, the innerspring mattress has come a long way. Manufacturers have been working to discover new ways to improve various sleeping preferences. There are many versions of the innerspring mattress, such as the coil type. The layers of an innerspring mattress usually include the steel springs, a felt pad for a smooth surface and insulation, and a foam layer for a cushioned surface. The original spring mattress has steel springs connected into a single unit, while many manufacturers have created individually wrapped pocketed coils. Individually wrapped pocketed coils provide extra support and help with motion isolation. Coil count and coil gauge are also big factors in an innerspring mattress. 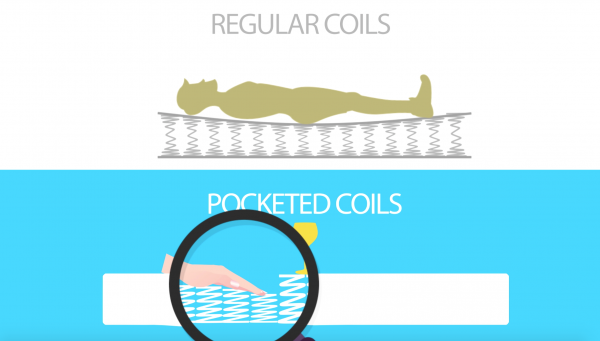 The more coils in your mattress, the more firm it will be and the more support it will give you. The gauge determines the thickness of the coil, which impacts your comfort. If you’re not a memory foam lover and want more sturdy support, innerspring is the way to go. Many manufacturers are making innersprings more enjoyable by including temperature controlled technology and different foams and toppers to make your sleeping experience the best. Specialty mattresses range everywhere from memory foam to air bed. Specialty mattresses refer to anything that doesn’t include innersprings. This could be memory foam, latex, air bed or water bed! And specialty mattresses are still relatively new to the bedding game, becoming popular within the last 10-15 years. 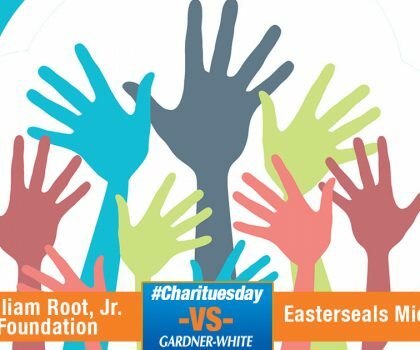 Gardner-White carries a wide range of specialty mattresses that uses one or more types of foam as the support system. A popular specialty mattress brand is Tempur-Pedic®. Many manufacturers are now jumping on the specialty train as well, such as iComfort by Serta®. While each manufacturer is different, each specialty mattress usually includes some form of memory foam, latex, and sometimes gel. Foams are great because they can offer different benefits. One that is very popular right now are body regulated foams, to keep your cool while you sleep! With different foams and materials, you’re able to get a specific feel and comfort. A major characteristic of specialty mattresses is that they will conform to the shape of your body, and almost wrap you up. If you don’t like that or a sinking feeling, a specialty mattress may not be for you. While there are some budget friendly options like Brooklyn Bedding®, specialty mattresses are usually in the higher price point, but they do last a lot longer than innerspring mattresses. Hybrid mattresses are the best of both worlds! Not a fan of the full sinking feeling of a specialty mattress, but still want that cushion comfort? Opt for a hybrid mattress that includes innersprings and specialty foams. The combination of features these mattress types provide, fit the unique needs you may have. 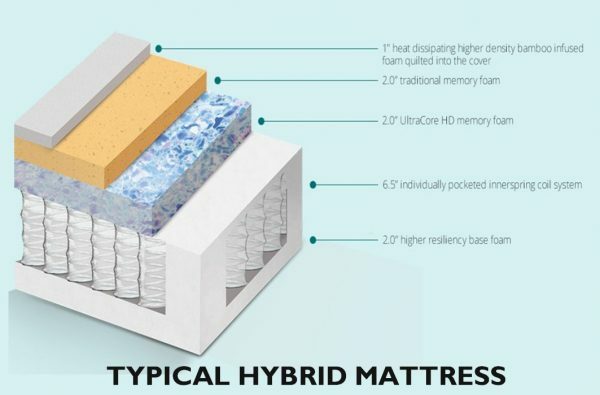 The construction of a hybrid mattress usually has an innerspring support system with a memory foam, or specialty foam, in the comfort layer. If you’d like to test out all of these mattress options, come on in! We have the biggest selection of mattresses in Michigan, so you know you’ll be able to find what you’re looking for. 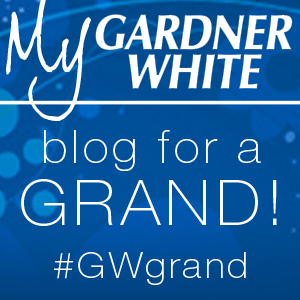 Gardner-White is Calling All Bloggers in Michigan! Write a Grand Blog to Win a Grand! Thanks for this awesome article. I have personally used innerspring mattress for over 20 years myself and thought that it’s the only good solution for sleeping for a long time. Until recently I’ve discovered the hybrid mattresses and I felt in love with them, the level of comfort they give is something in between standard spring mattress and a foam memory one which for me is the perfect spot. Do you have any particular hybrid mattress in your offer that you think is the best model? I would love to see it online first and then test it personally. Copyrights © 2019 Gardner-White Furniture. All Rights Reserved.